Asya Hart’s simple human existence ends forever the night she meets Christian and James, two beautiful vampires bonded to each other and united in their mission to find The One who is destined to Balance the Tilt of the World--in other words, heal humanity and the planet. When Asya is compelled to use a healing power she never knew she possessed on the Grandfather of the Blood Community, Christian and James are commanded to bring Asya into The Blood, and the prophecy is set in motion. Asya learns that she and the rest of her family are all vampires, and that it wasn’t until her blood was raised that she became her full self. Asya is destined to save humanity, but she has no idea how she is supposed to do that! As if the expectations on her aren't daunting enough, she finds herself hunted, an unwelcome symbol of change within the vampire community. Vampires lifespans are linked with humanity: the more chaos and negativity within humans, the longer vampires live. Asya finds herself in the minority, a vampire who believes that working to heal humanity is the right and necessary thing to do, despite the personal consequences. There are those who don’t appreciate Asya's selflessness, and for them the solution is simple: get rid of her before her revolutionary ideas take hold. 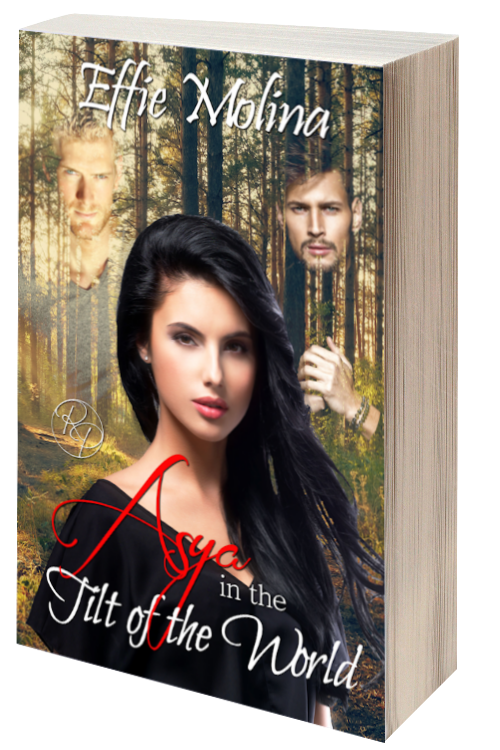 In the midst of it all is love, and Asya struggles to not let it distract her. Christian and James are a bonded couple, and Asya has joined them. Asya is drawn to them in ways she has never felt before, but does she really have the luxury of first love? Asya finds herself on the crossroads. Who is she is in this new world? And can she truly be who people expect her to be?